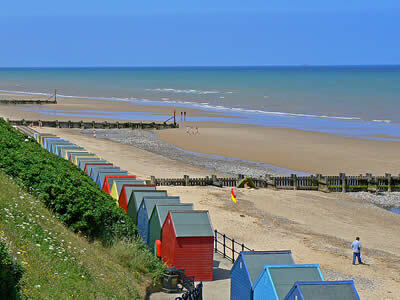 A largely unspoilt, east coast holiday village with an excellent beach, good walks and one of the best windmills in Norfolk. 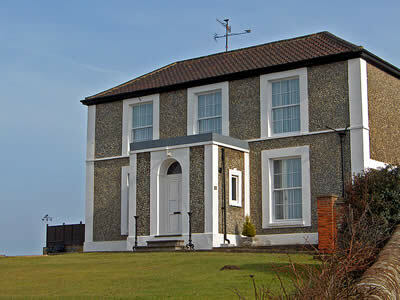 The East Norfolk coast holiday village of Mundesley grew rapidly when the Victorians brought visitors to the district by opening a railway in 1889. 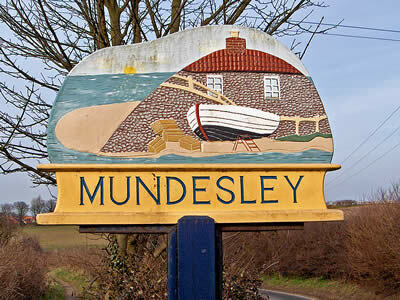 They came to Mundesley to sample the finest air in the country. 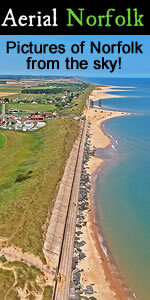 The railway has long gone, but the fresh sea breezes off the North Sea remain as invigorating as ever. Mundesley today is a family holiday resort with a wonderful sandy beach, considered one of the best in Norfolk, with safe swimming for youngsters when the tide is out. 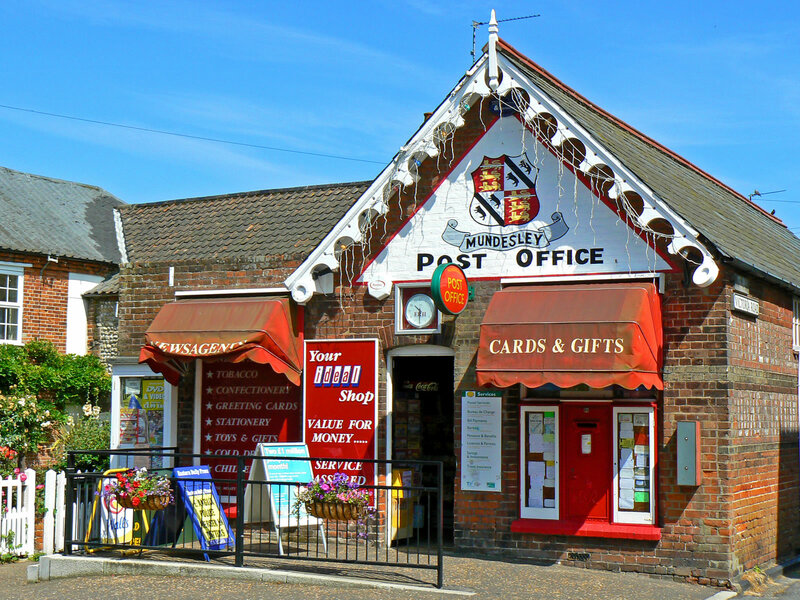 The village contains a number of facilities including a small number of shops, eating places, pubs, tea rooms and possibly the smallest museum in the country - the Maritime Museum. 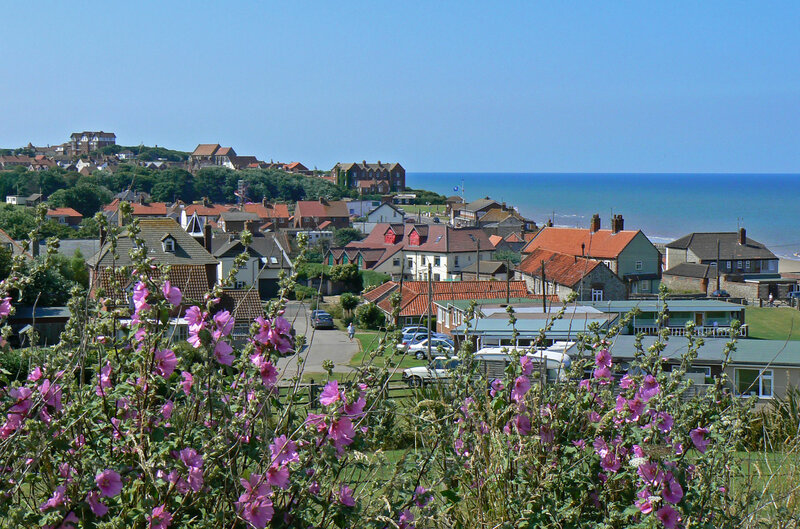 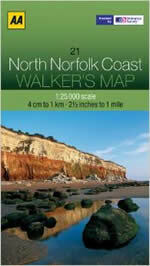 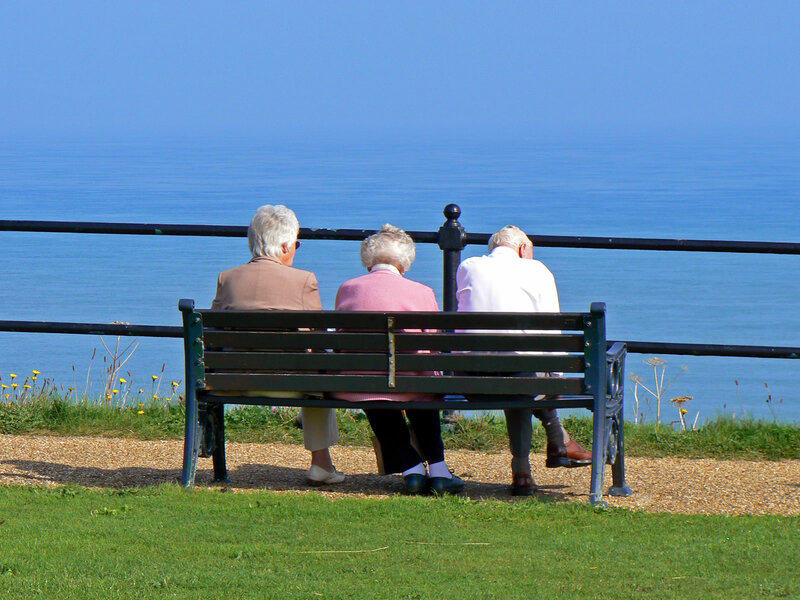 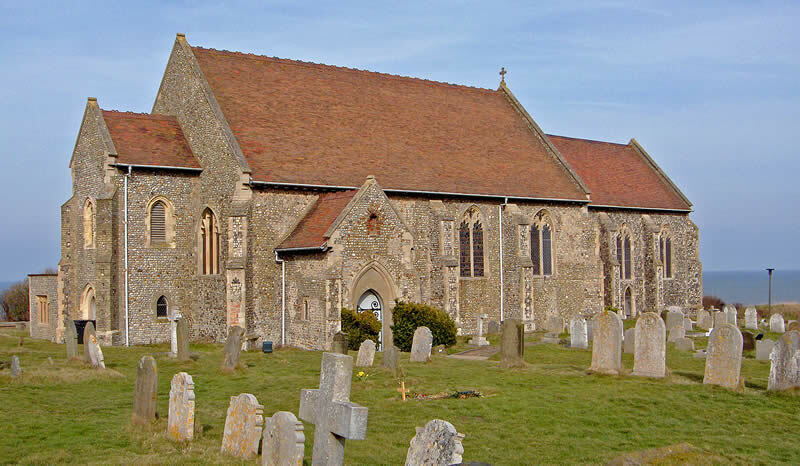 Mundesley church sits perched overlooking the sea and the coast path is great for walks. Nearby Stow Mill is one of the best windmills in Norfolk and well driving by. 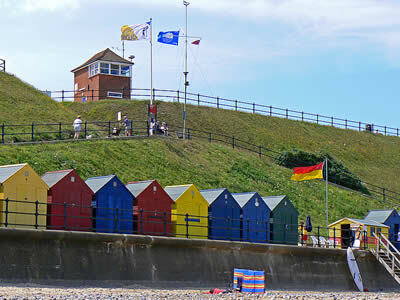 We start our tour of Mundesley at the seafront, by the ramp that takes us down to the beach. 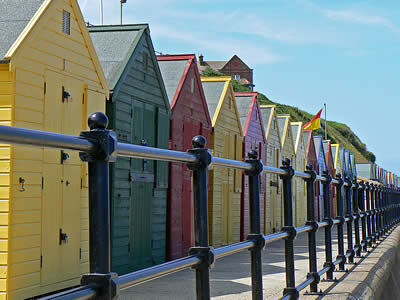 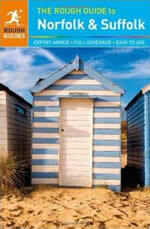 Set out right along the seafront, is a colourful row of beach huts. Below is the wonderful sandy, blue flag beach, which is one of the best in Norfolk - some would say THE best - and it is a great place to enjoy all the usual beach activities. At one time many fishing boats would have been based here, today a few still remain and are hauled by tractor to the sea. 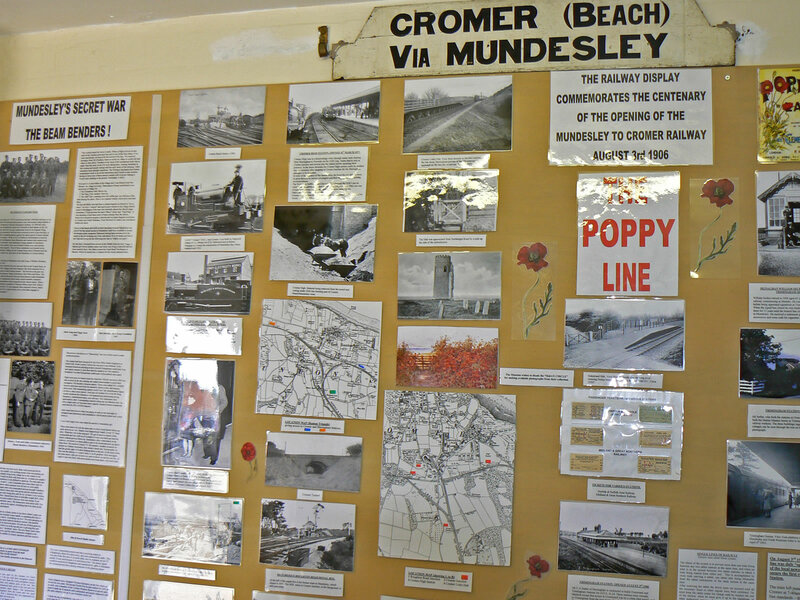 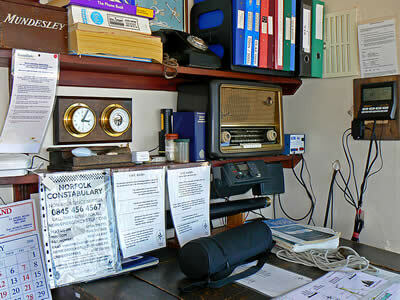 Above the ramp to the beach is the smallest museum we have ever seen - the Mundesley Maritime Museum. Before we enter the museum, notice the memorial adjacent to the museum on the cliff top. 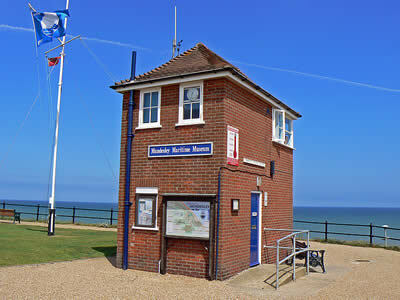 This memorial is to the men who were killed while clearing World War II landmine's from Norfolk's cliffs and beaches. 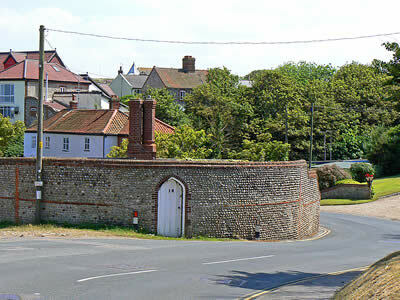 The memorial honours the 26 Royal Engineer Bomb Disposal personnel who lost their lives during the clear up. 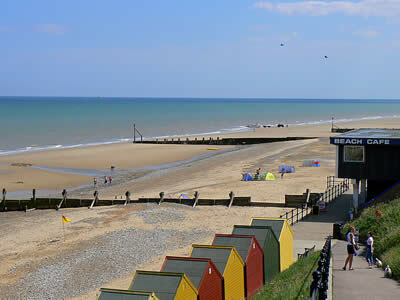 The mines were put on the beaches in 1939 to 1940 when Britain faced the threat of a German invasion. 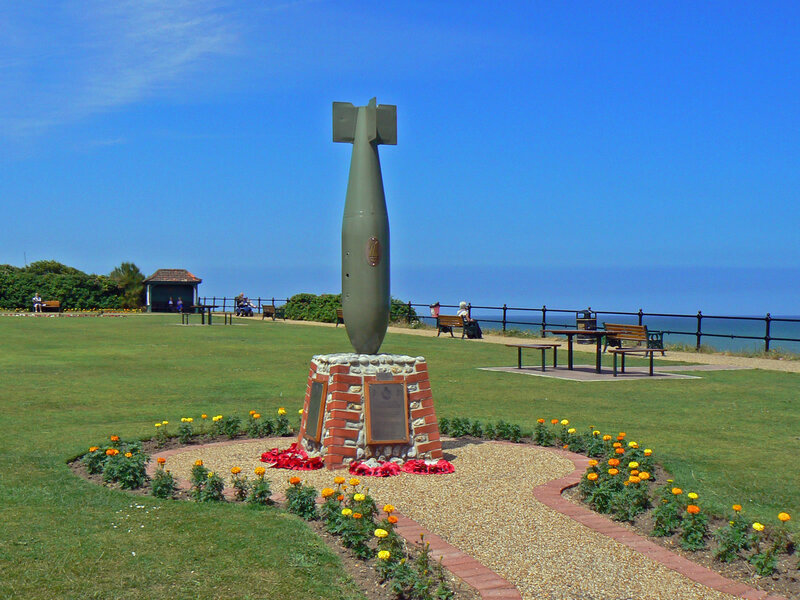 The memorial is a 10ft high, 500kg German bomb casing, supplied with a granite base by the Royal Engineers Bomb Disposal Unit at Wimbish, in Essex. 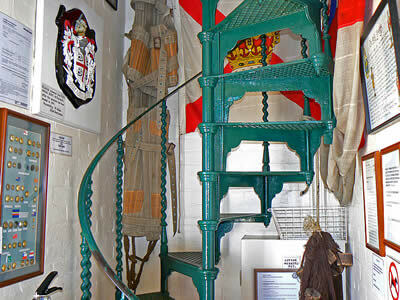 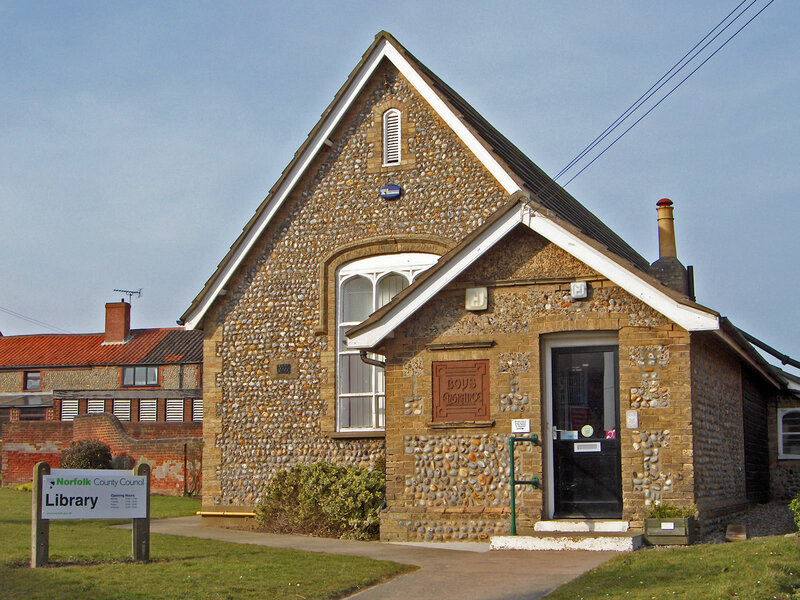 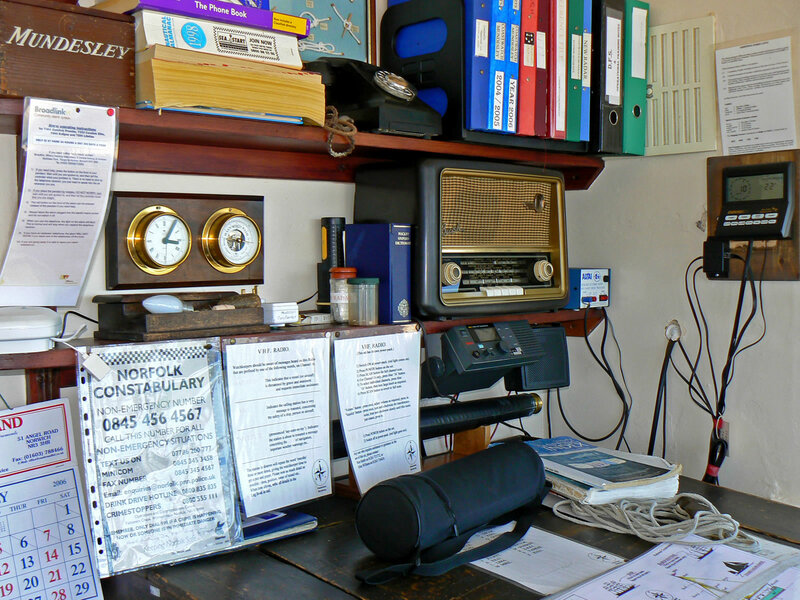 Inside the Mundesley Maritime Museum you will find old photographs charting the history along this section of the Norfolk Coast. 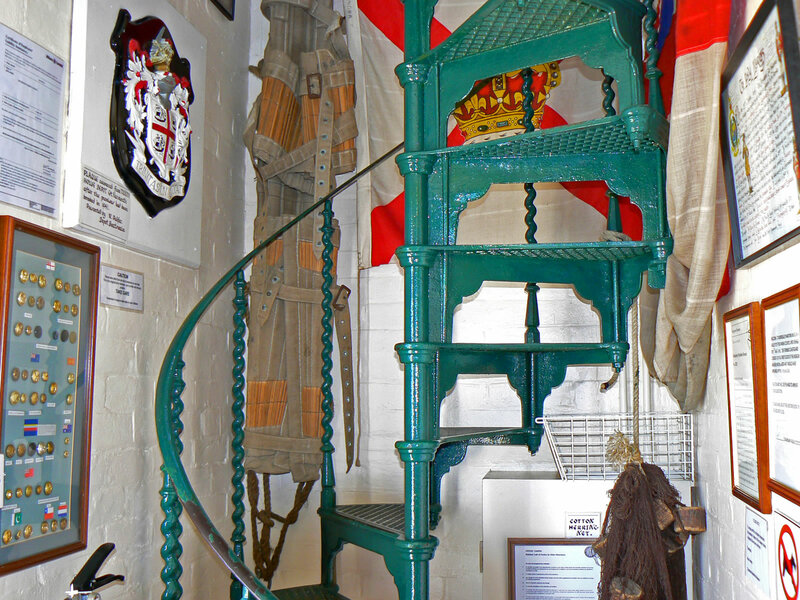 Upstairs is an area area full of equipment - old and new - showing the work of the coastguard. 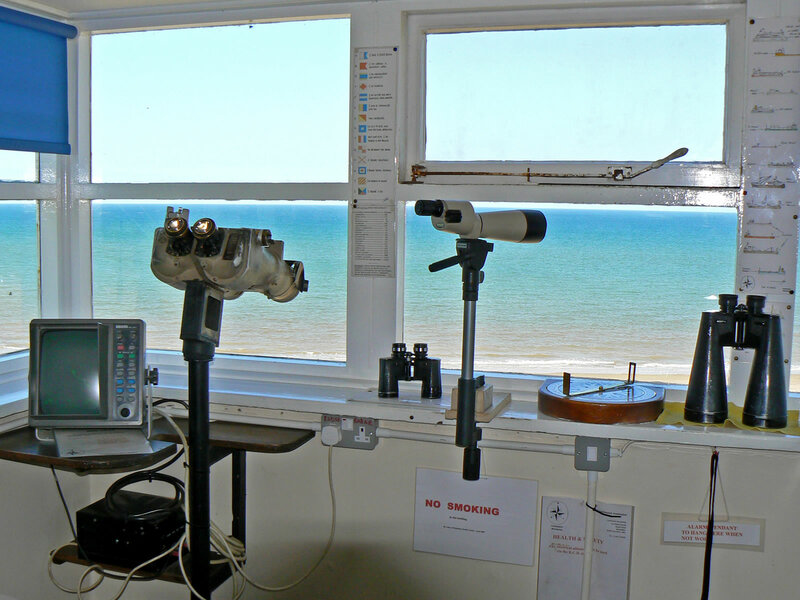 This area is manned by hard-working volunteers that watch the activity on the beach and in the water and look out for anyone in need of assistance - they then call the coastguard. 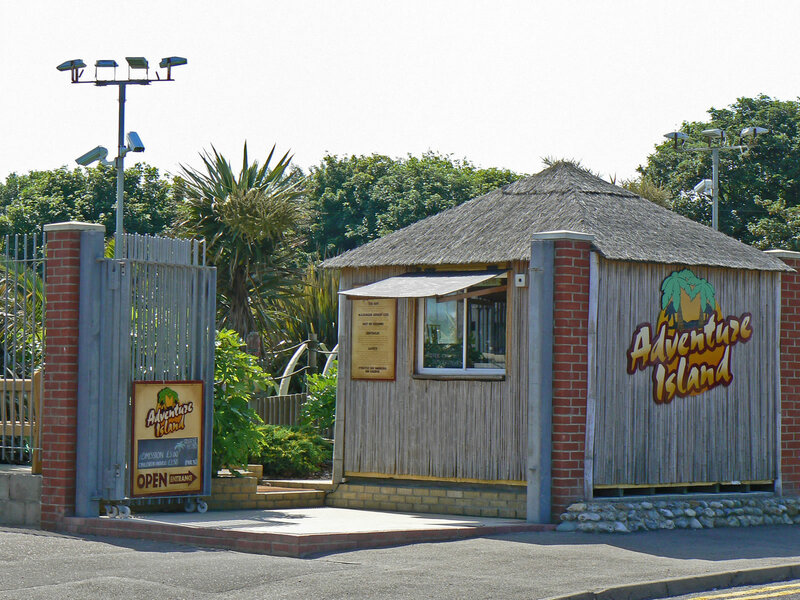 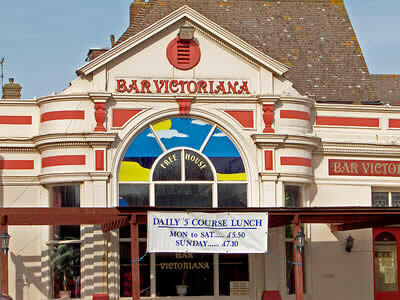 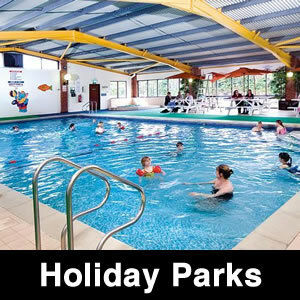 Opposite the museum is Adventure Island, one of Norfolk's many great attractions. 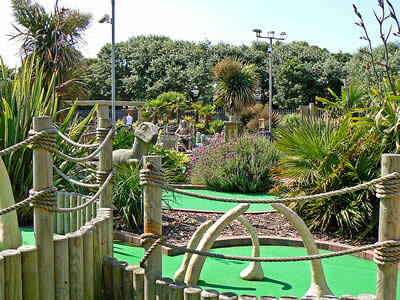 Adventure Island is a putting golf course and great for a few hours fun! 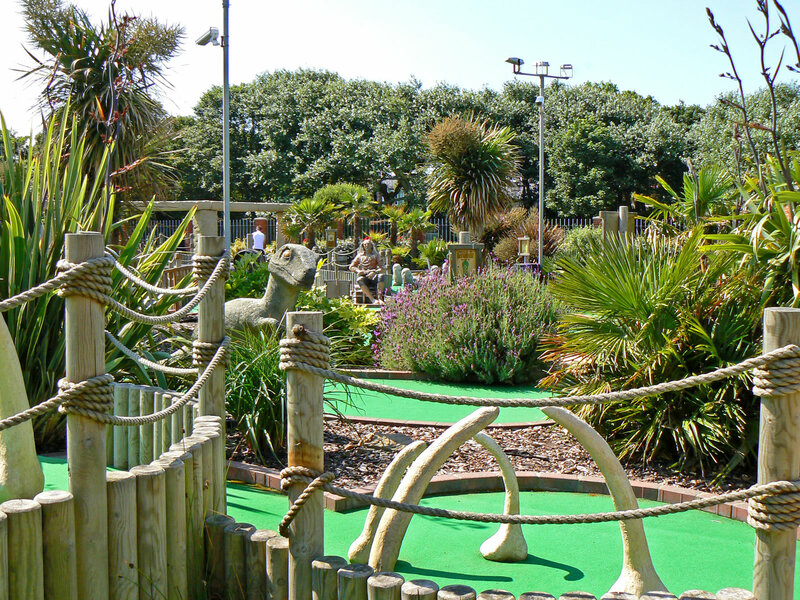 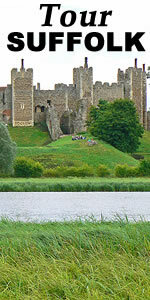 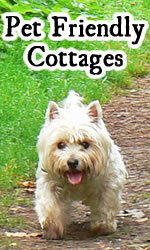 Behind Adventure Island is a lovely grass field, useful for picnics or to walk the dog. 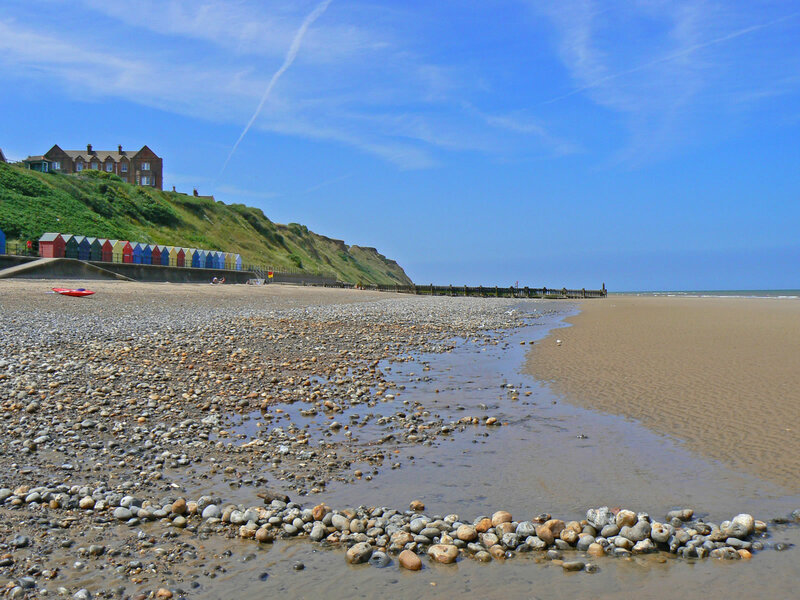 The main coast road snakes its way through Mundesley - its a little narrow in places and gets busy in summer, but you do get some fabulous glimpses of the sea. 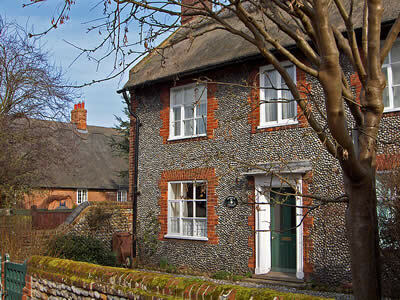 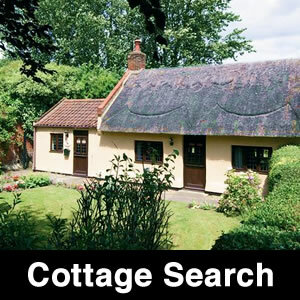 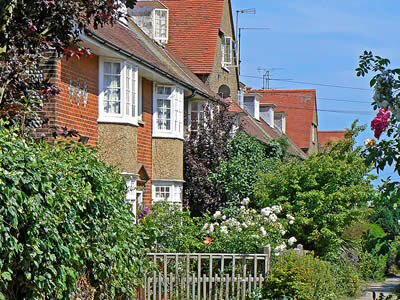 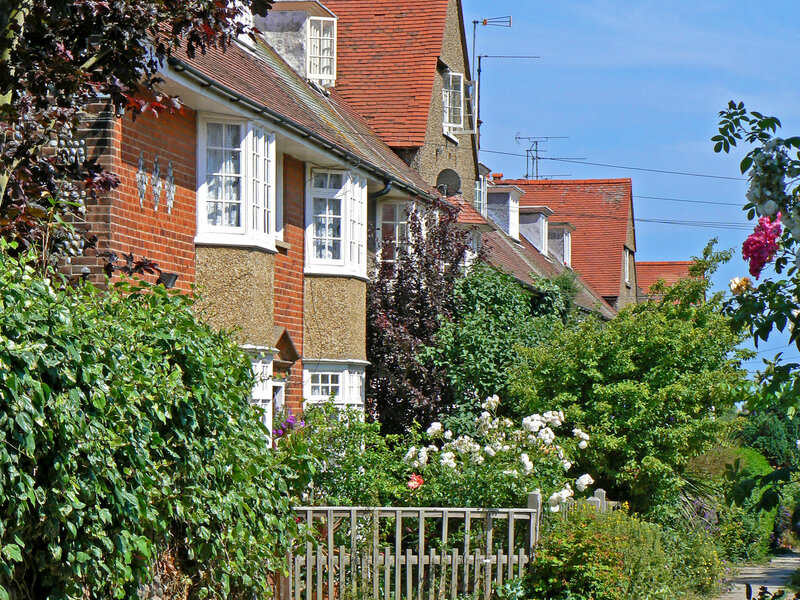 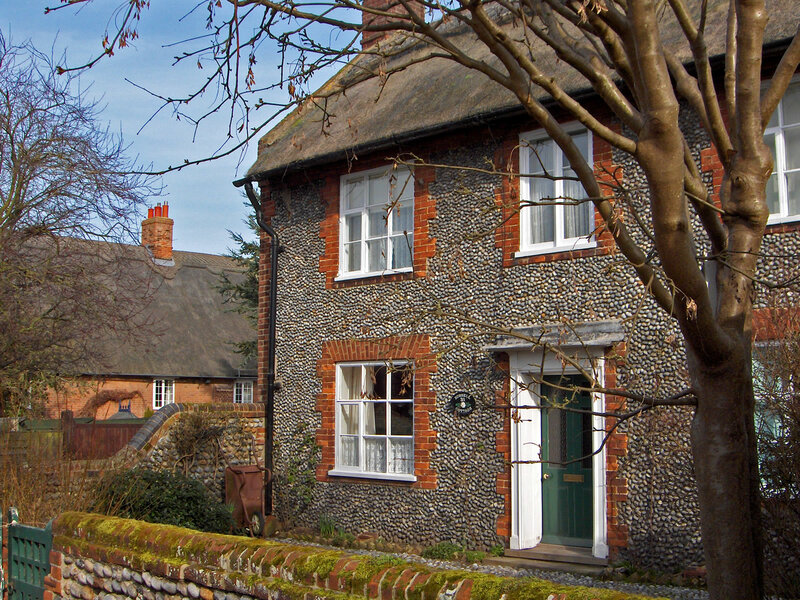 The village itself contains many pretty Norfolk cottages, mainly dating from the Victorian period to the present - and constructed using traditional Norfolk materials, such as flint, thatch, brick and pantiles. 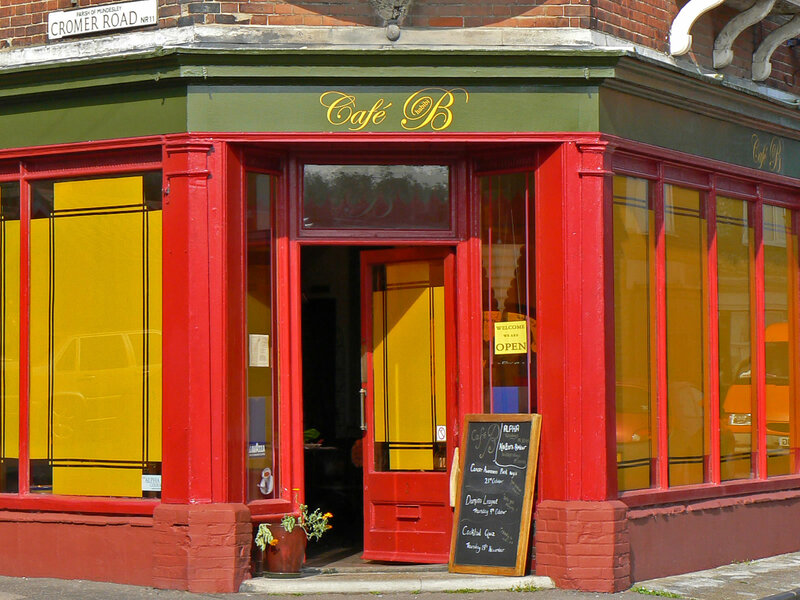 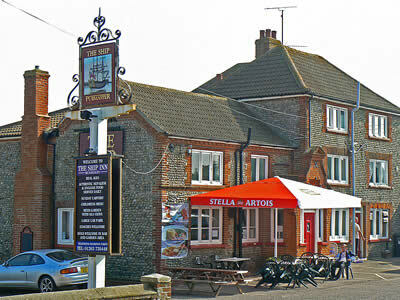 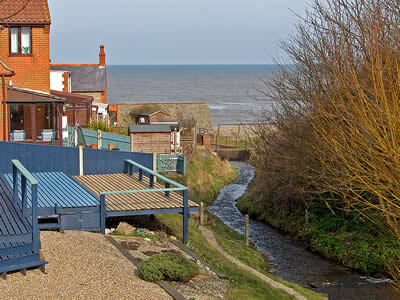 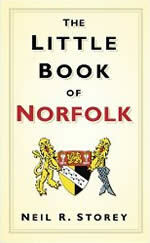 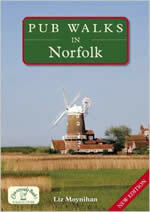 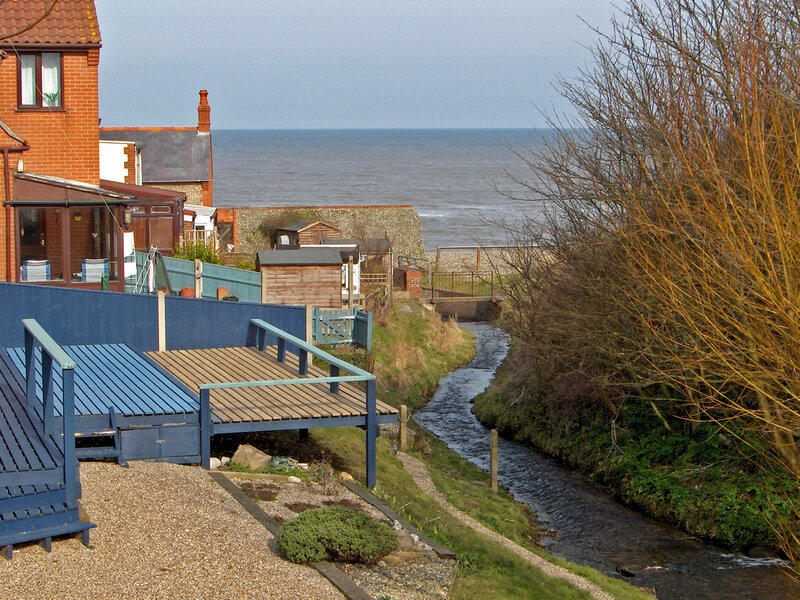 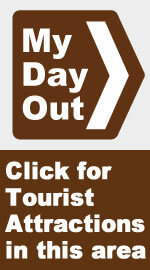 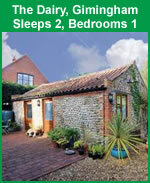 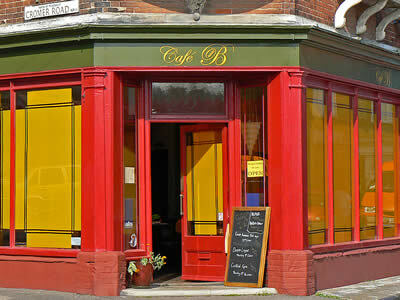 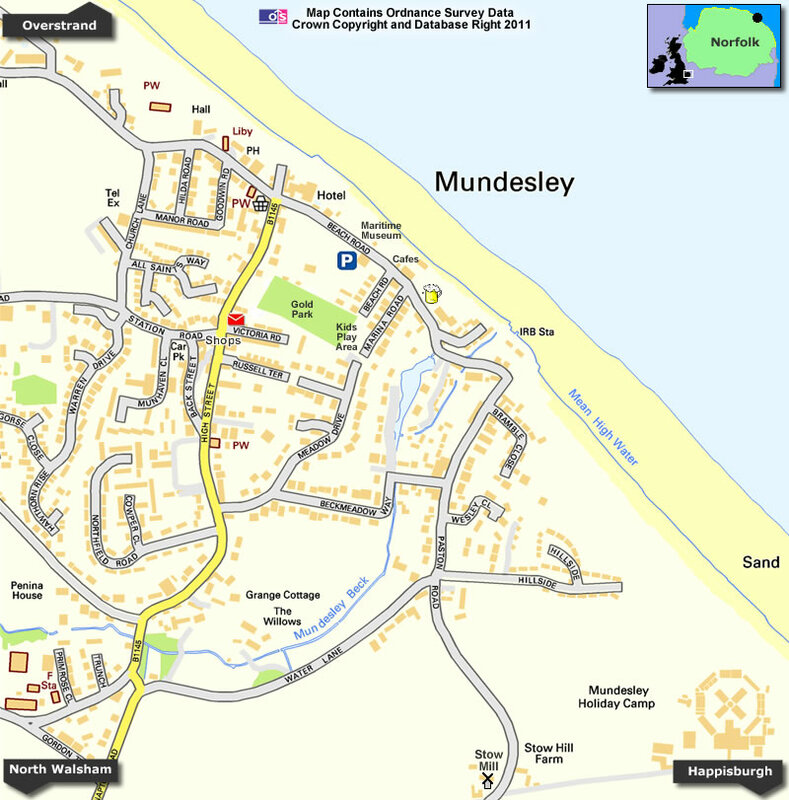 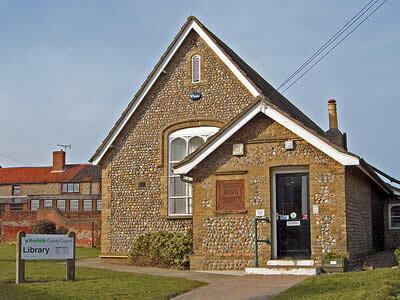 Mundesley also contains a pub and a number of cafes and tearooms. A path leads from the coast road around an old millpond - the remains of the waterwheel are still visible by the side of the coast road, although the mill building itself has gone. 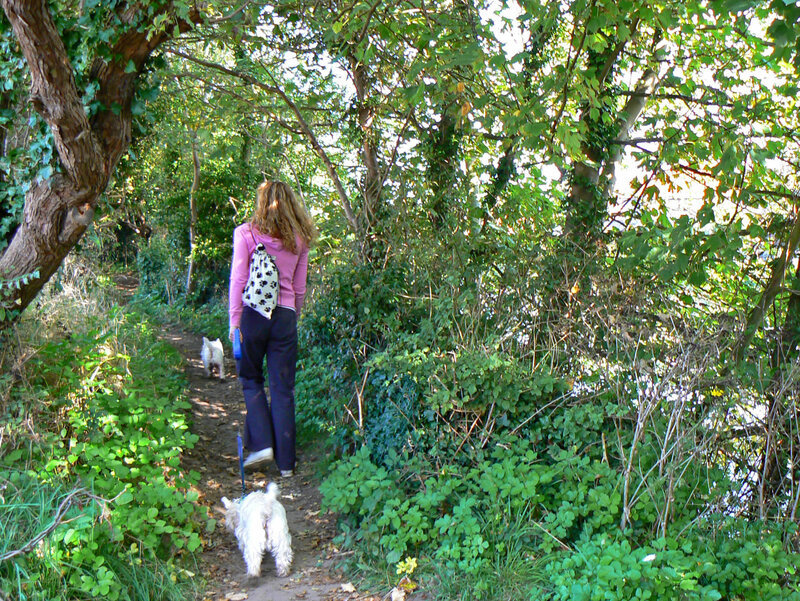 If you follow the path, it brings you out in the residential part of Mundesley. 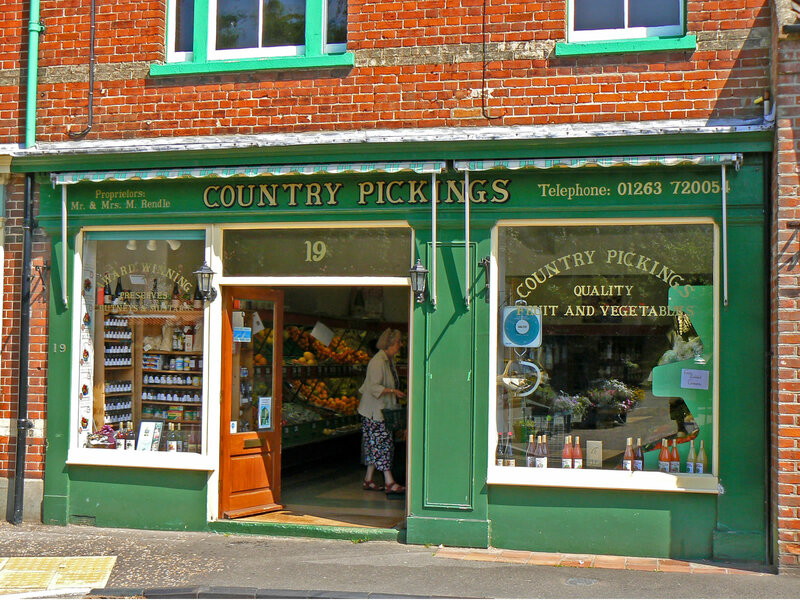 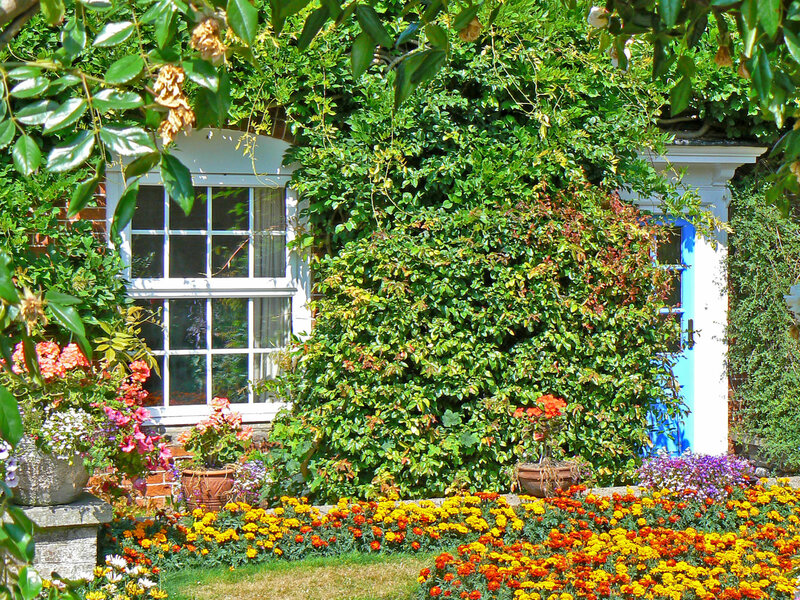 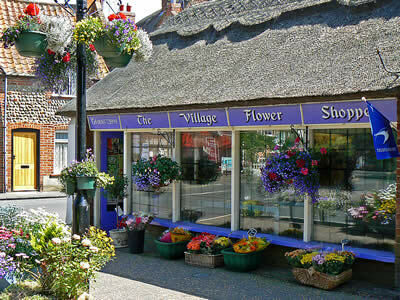 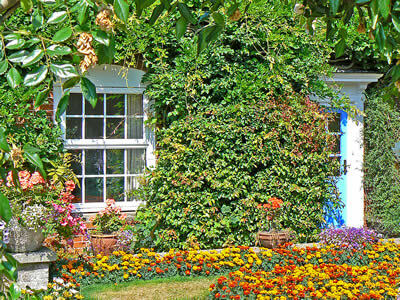 The residential area of the village contains a number of shops, including a flower shop, a delicatessen, colourful Post Office and some really pretty cottage gardens. 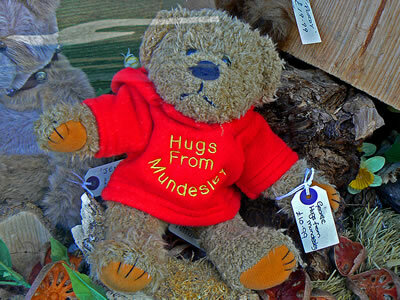 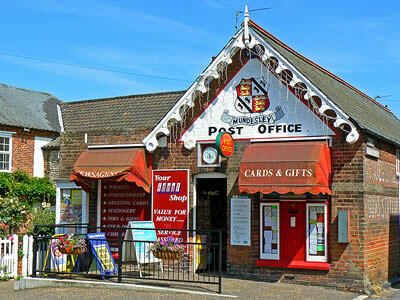 Near to the post office is the Mundesley village sign, there are duplicates on the roads into the village. 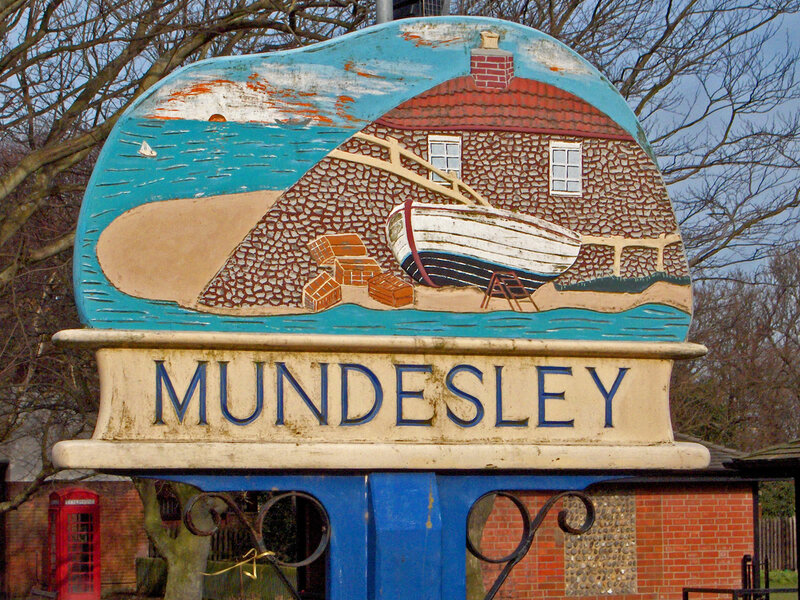 The sign shows a typical Mundesley scene with a cobbled inn and boat with crab pots. 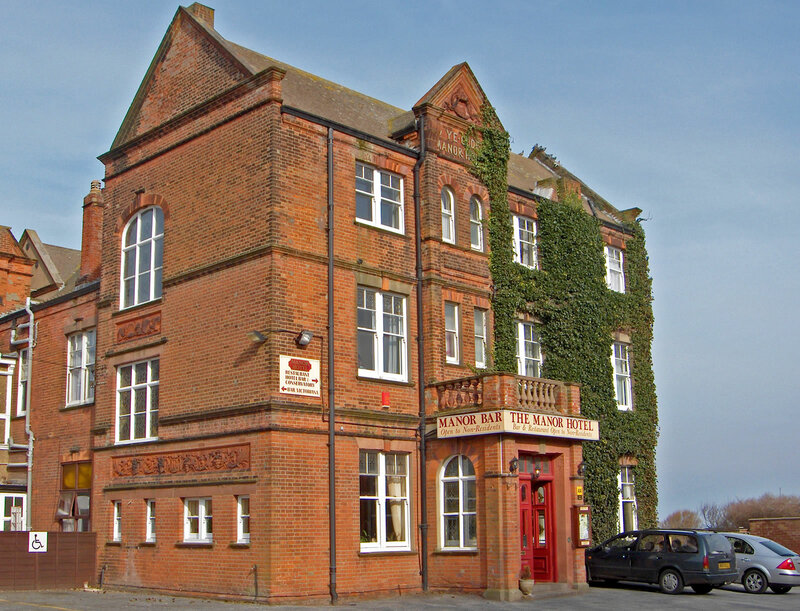 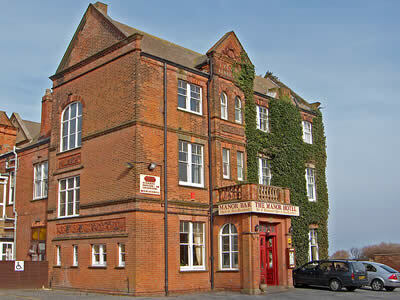 Mundesley has many links back to its Victorian heyday, including the Manor Hotel, its adjacent bar, Victorian terrace housing and an interesting local library. 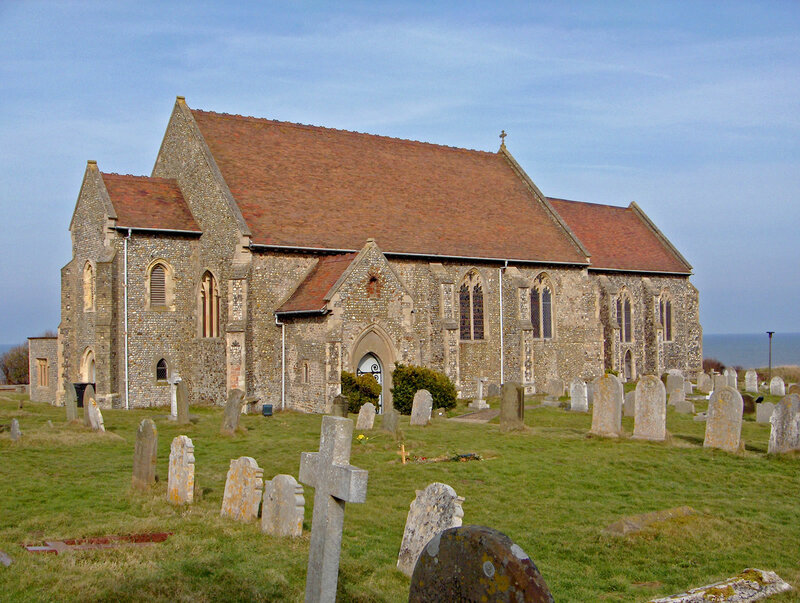 The village church of All Saints, is situated overlooking the sea. 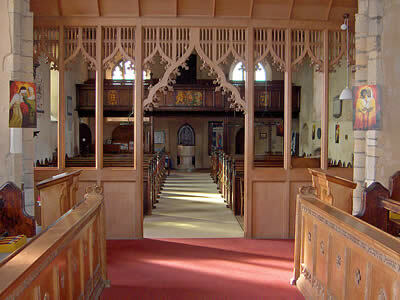 Inside the church is spacious and has a balcony at the rear. 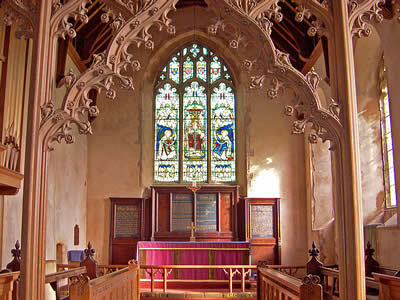 There are a few lovely stained glass panels and an interesting statue stands in one corner of the church. 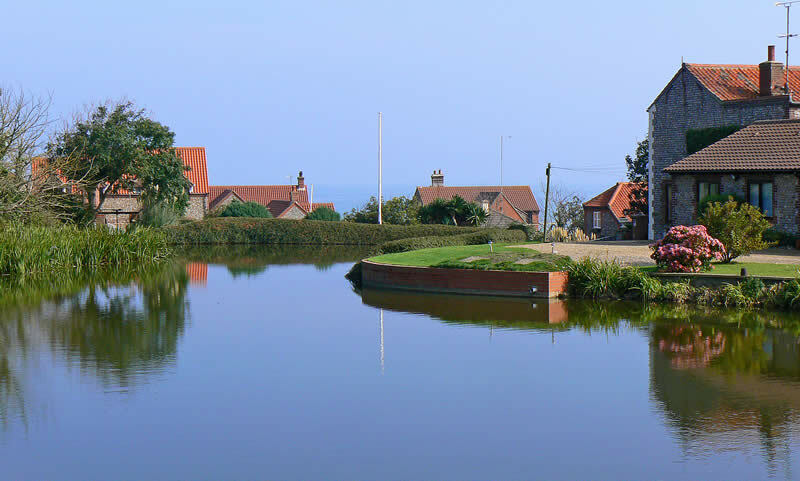 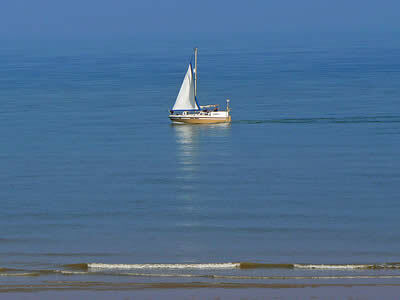 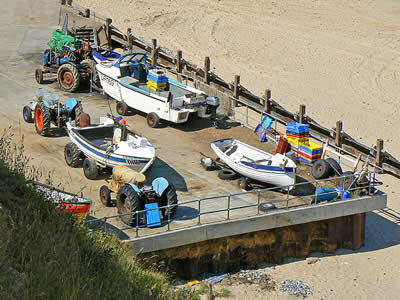 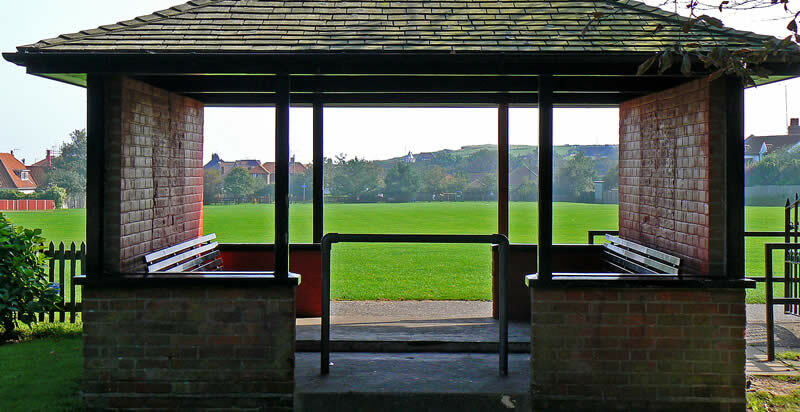 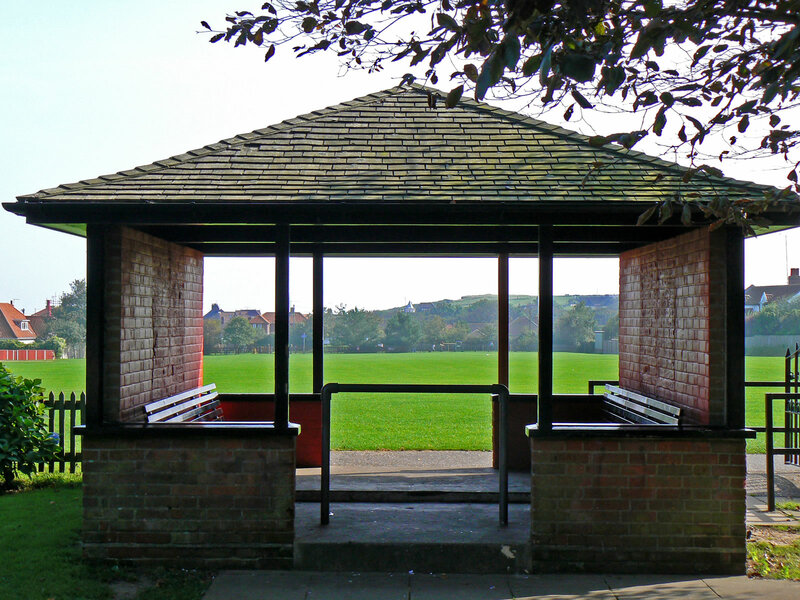 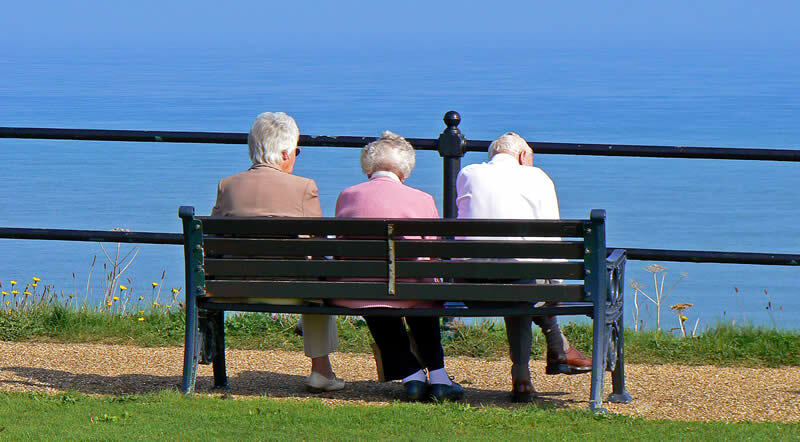 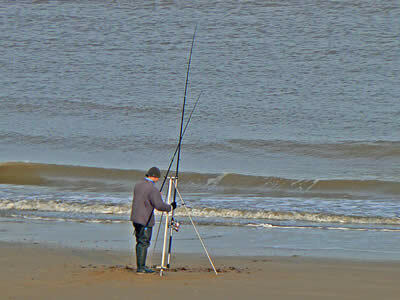 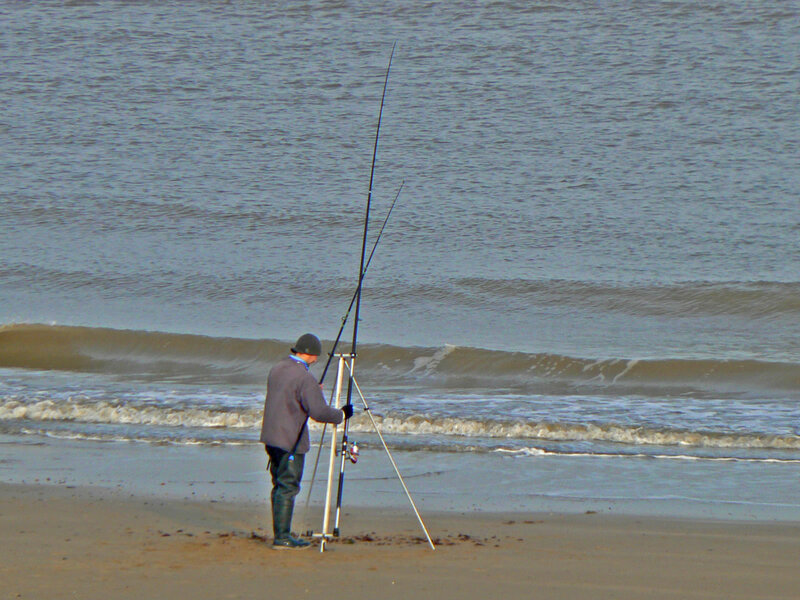 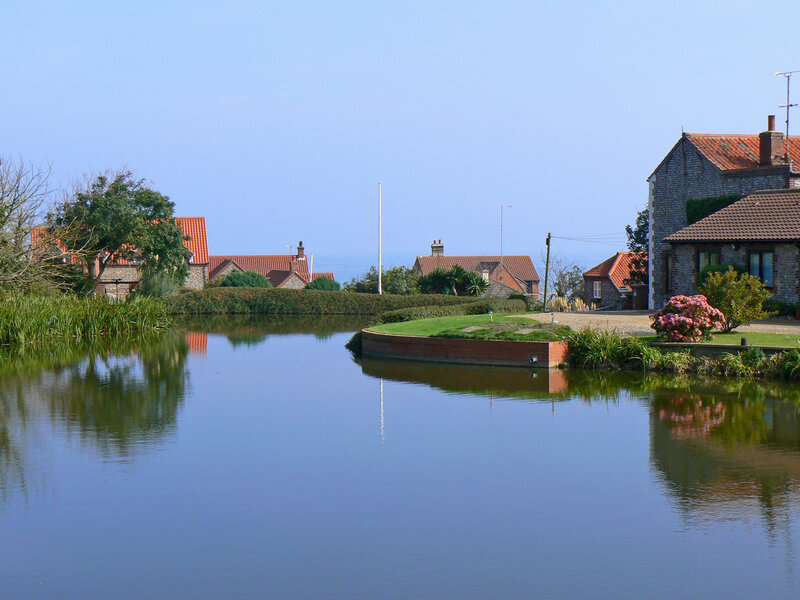 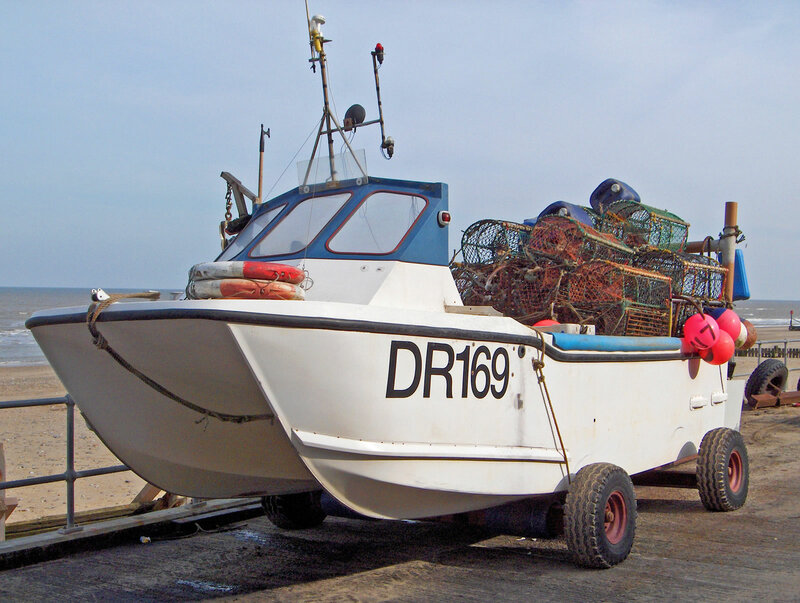 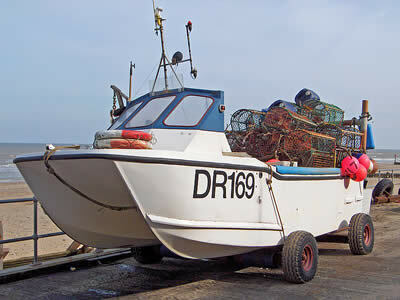 Mundesley is a great place to enjoy all sorts of activities including sailing, fishing and walking. 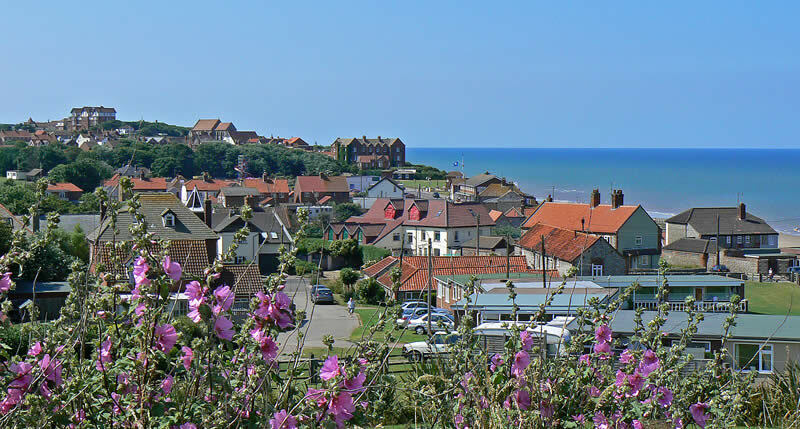 One good walk is to take the path leading south from the village, where you get good views back over Mundesley - great for a photo! 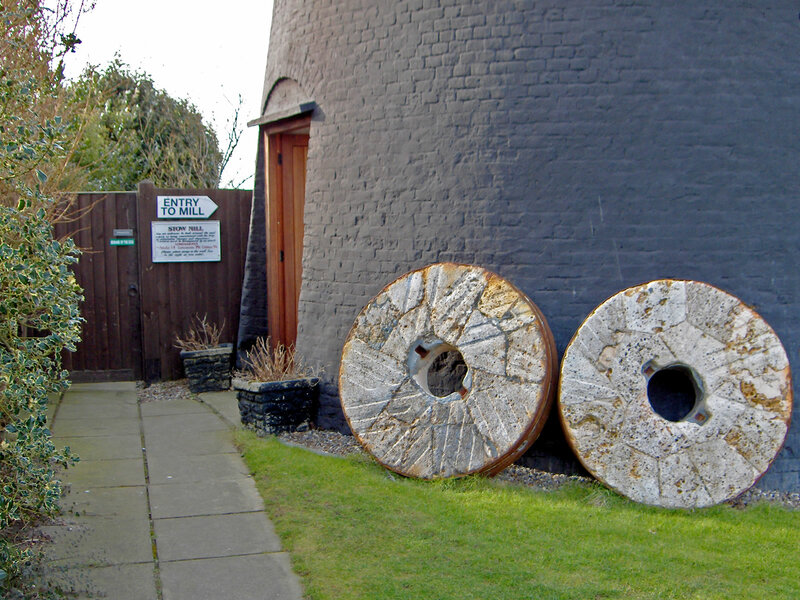 On the road south out of Mundesley, you will find Stow Mill; which was built as a flour mill in around 1826 by James Gaze. 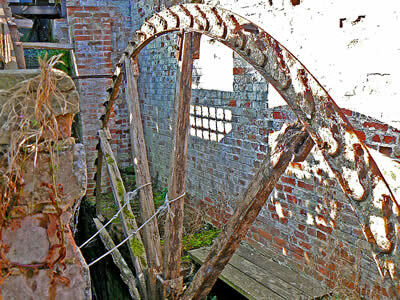 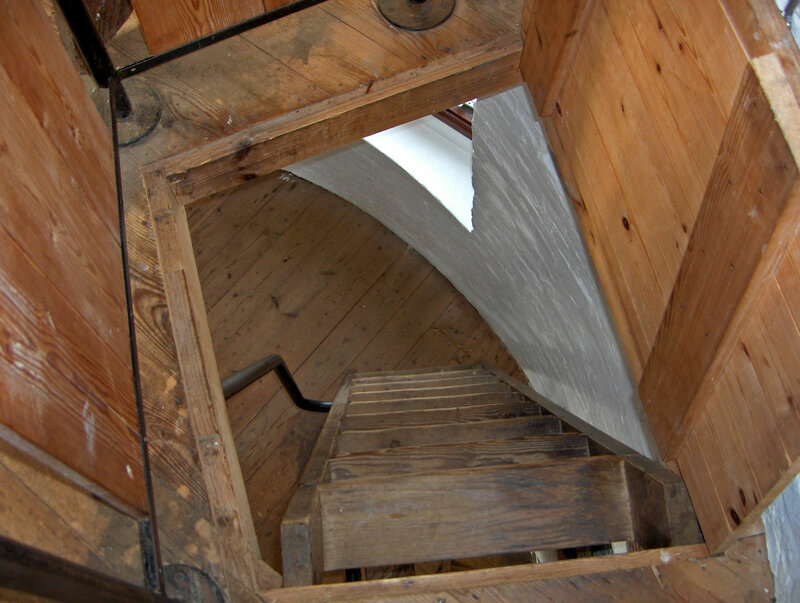 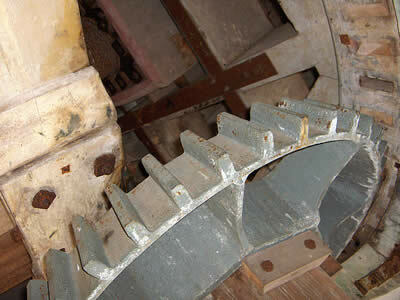 The windmill was operational until 1930, when most of its interior machinery was removed and turned into a small home. 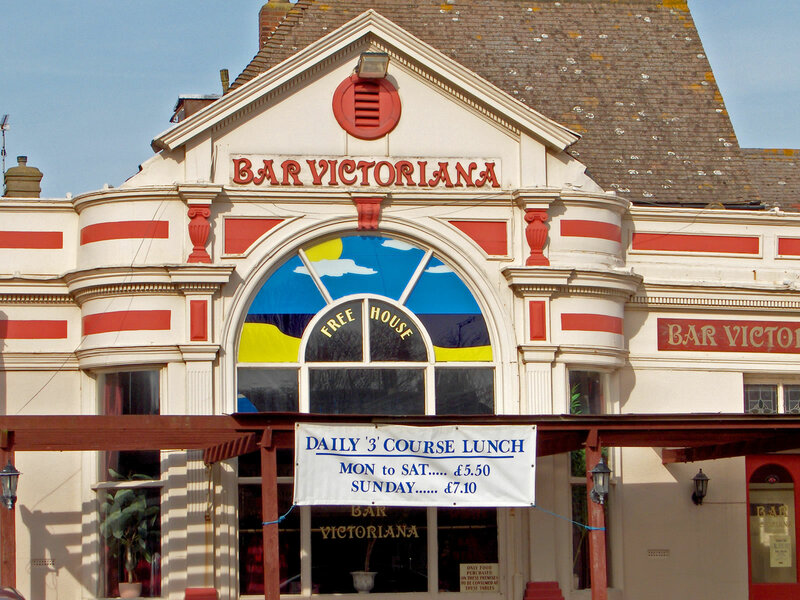 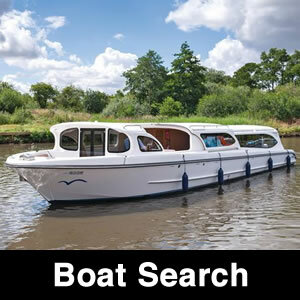 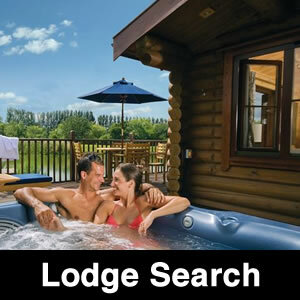 In 1960 it was redeemed, when it was selected for preservation by Norfolk County Council and since then it has been maintained and restored by private owners. 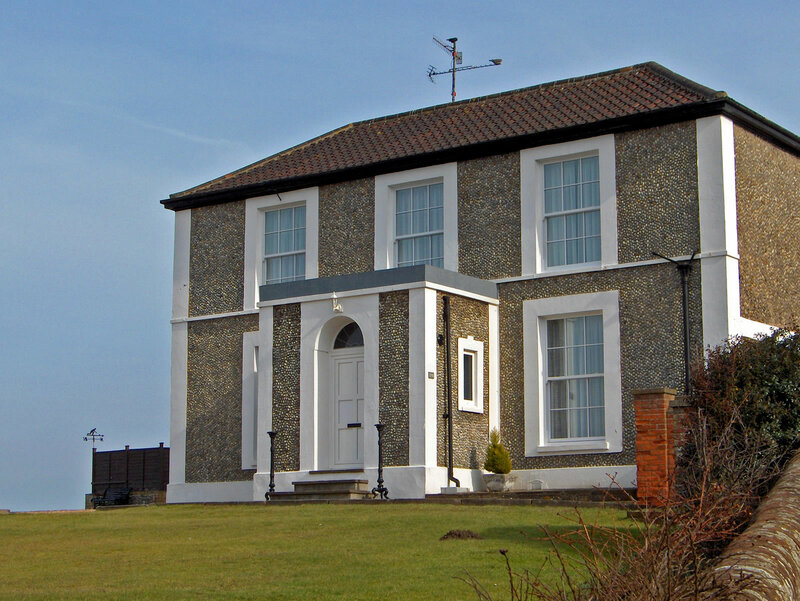 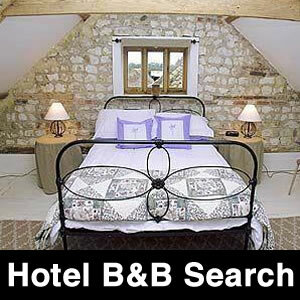 It was once open to the public, but is now a holiday home and not open to the public (sadly). 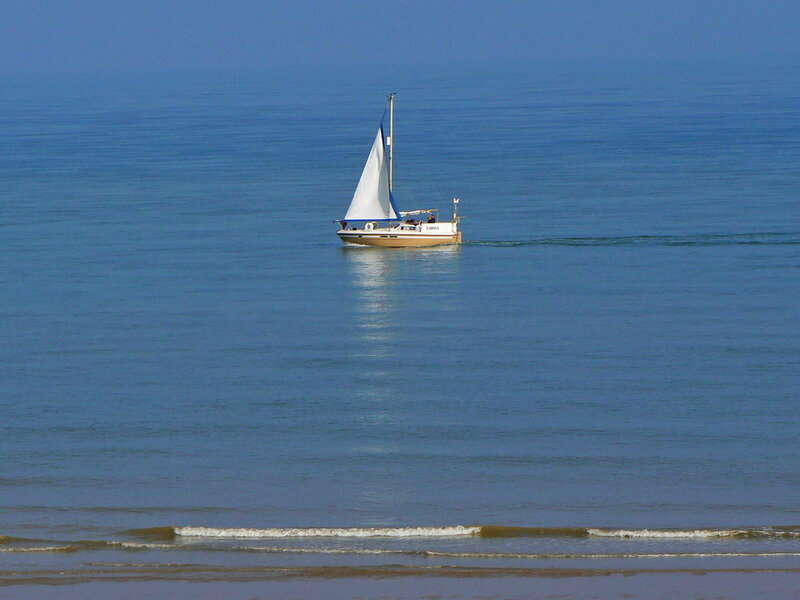 Take a walk on the beach or play in the sea! 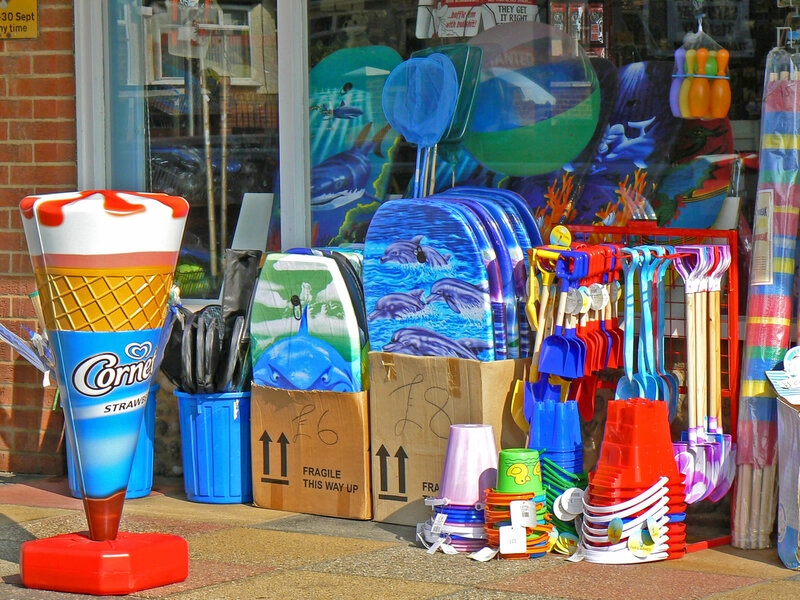 Mundesley has one of the best beaches in Norfolk, plus a range of shops and facilities to keep you entertained. 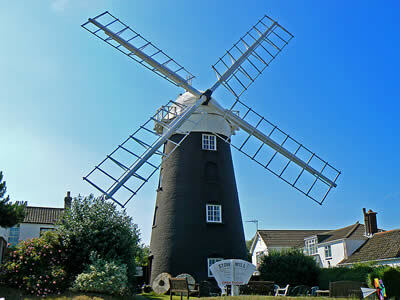 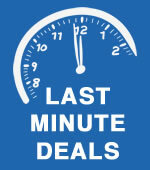 Make sure you get to see the windmill too!